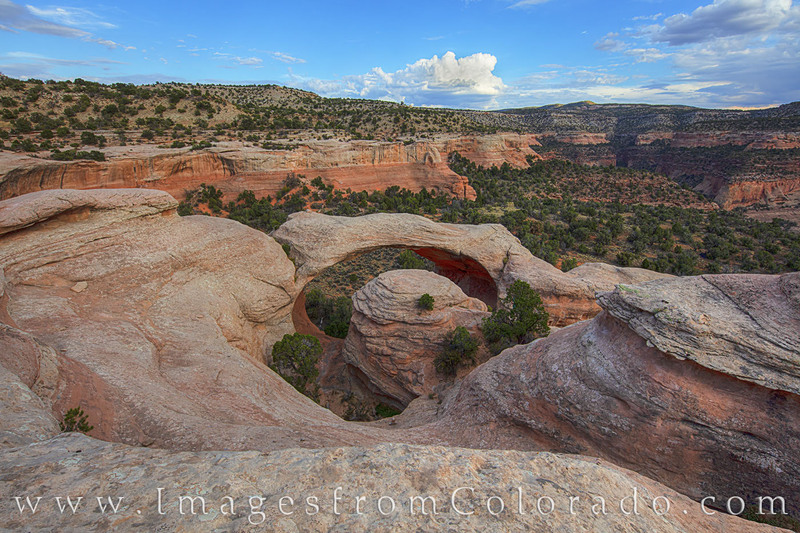 From the rocks above Cedar Arch, the high cliffs of Rattlesnake Canyon can be seen. The hike into this area is long, but the views are amazing. If you dare, you can descend from this point down through and beneath the arch and onto the canyon floor. If you’d rather now descend a Class 3 or 4 sandstone rock face, an easier path winds along the top of the arches before looping around to bring you to a trail beneath the arches.